Singing improves posture and blood circulation , decreases muscle tension, reduces anxiety and relieves stress proving to be therapeutic to the mind and body. It strengthens concentration and memory and helps in speech skills. Singing builds self esteem and confidence promoting creativity and enriching the imagination of the individual. You are never too young or too old to learn to sing. Here at ADPAC (Aurora Dance and Performing Arts Centre) we offer a variety of programmes to suit your lifestyle. 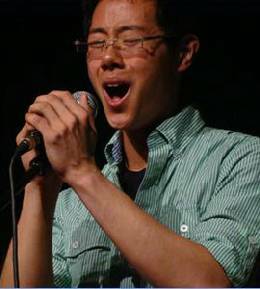 Teens Supreme Singing Course for ages 13—18 years . Adult Small Group or Individual Singing Course—Free and easy.